This week is a very special episode where we spend some time catching up with three previous guests in what we are dubbing the first edition of “BIGFOOT SIGHTINGS” (genius name by Lindsey Ward). Up first is the one of the most inspiring people I know, Calvin Johannsen. Since we last spoke at the end of his 14er Project (where he climbed over 100 mountains in 100 days), Cal has been focused on improving all sorts of lives with his “Join 100 Club” which is a daily commitment to a goal, a printable accountability chart to help you visualize your progress, and a devotion to CONSISTENCY and the longterm process of achievement. Tune in to hear all the details about this FREE club, what is it, how to join, Calvin’s philosophies, etc. The concepts he uses for success fall directly in line with this podcast and are VERY POWERFUL. 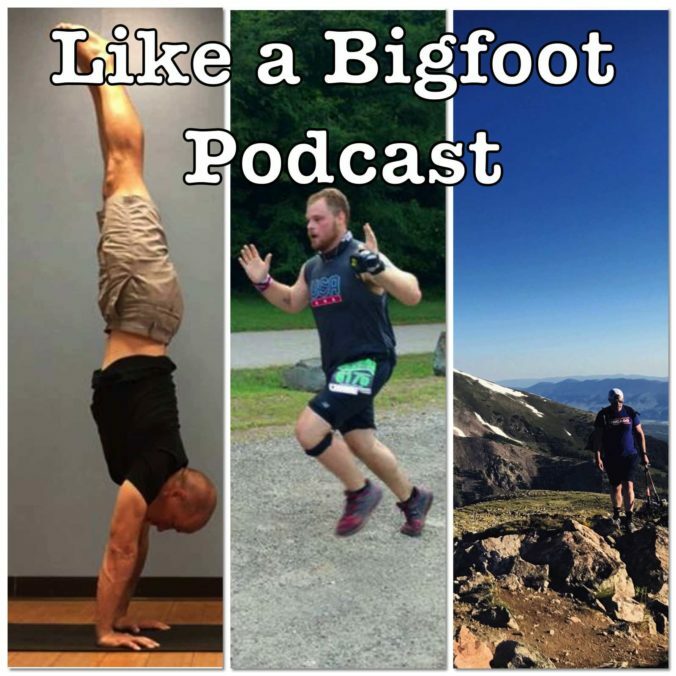 Last time we spoke with Jason he was down 40 pounds and had just finished an awesome backpacking trip through the Linville Gorge. Right after the podcast he informed me that he took a huge leap and had signed up for his first 50k. This is a guy who had never ran more than 6 miles and was courageous enough to sign up for an ultra marathon!! This week we catch up on his training progress and I share some tips and training strategies for his next two months of training. If you’ve ever wanted to take on a HUGE challenge I would highly suggest checking out a trail 50k. You can definitely do it! A couple months ago we recorded an episode entitled “Guide to Climb Your First 14er.” Sean was our “newbie” at the time and I’m happy to say that a couple weeks ago we successfully got to the top of one of these behemoths, Mt. Bierdstadt (14, 065ft). Here we share the story of our adventure, what Sean thought of the hike, whether or not our “training hike” up Buffalo Mountain was harder, and the amazingness of meeting a mountain goat!